The MATRIX-1000 V2 is a complete sound reinforcement solution comprising of two 10” two-way satellites, a dedicated 15” subwoofer and a built-in three-channel 700-watt power amplifier. The three-channel amplifier features three distinct volume controls, electronic crossover with equalization and a VCA compressor. The circuitry is designed and fine-tuned to integrate all components for the best possible sound. There is no need to finesse settings on a crossover or compressor to make your system sound great. Simply roll the system into place on its heavy duty casters, plug in the AC, connect the two speaker cables, run two XLR cables to your mixer and you’re ready to go! 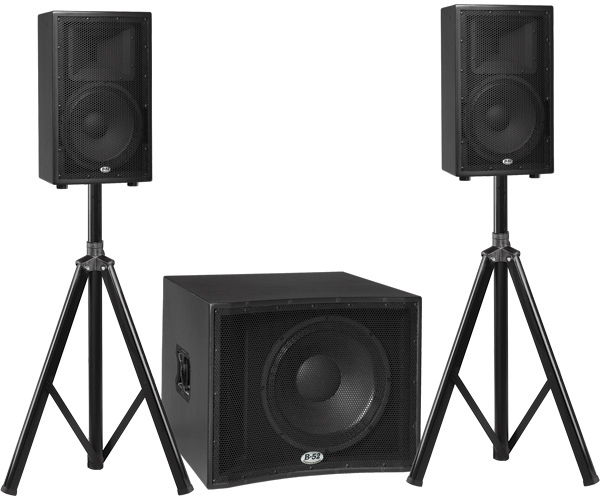 The MATRIX-2000 is a complete sound reinforcement solution consisting of two 12” two-way speakers and an 18” subwoofer, equipped with a built-in 1200-watt three-channel amplifier. The three-channel amplifier houses all the electronics required to run the system including electronic crossovers, equalization and compressors. 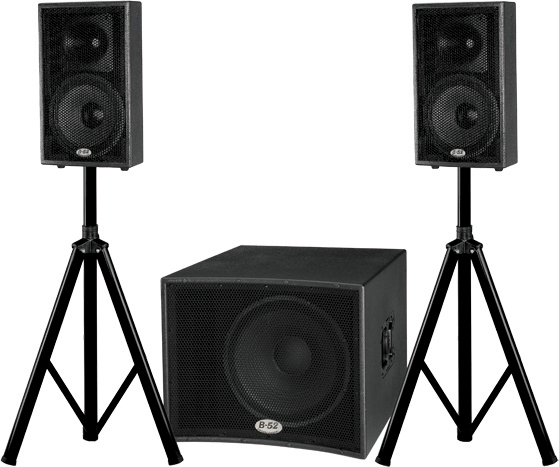 The electronic circuity is fine tuned to match all of the speaker components for the best possible sound. The MATRIX-2000 is designed for easy operation, as you do not need to tweak frequencies or finesse complicated compressor settings. To set-up the system simply connect the XLR right and left signal cables, speaker cables and powercord and you’re ready to perform!